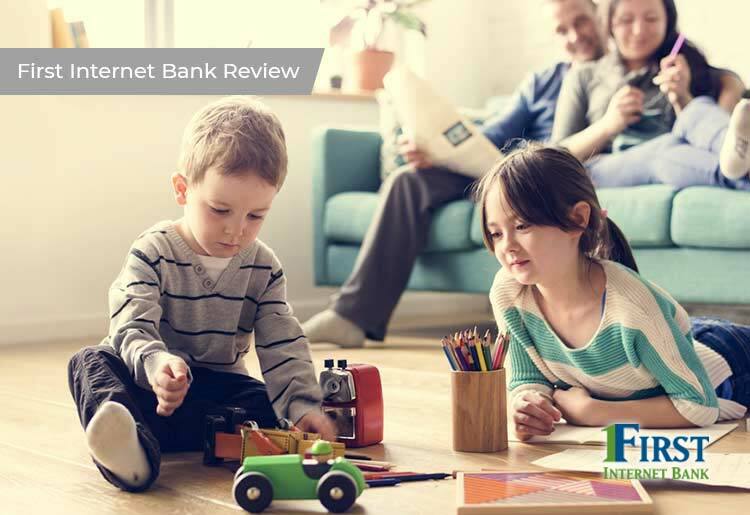 First Internet Bank is a leader in online mortgages, providing many types of online banking and mortgage loans and a solid customer service team, offering closing within 40 days. First Internet Bank offers a range of mortgages, home equity loans, and refinancing options with a quick and simple loan approval process. First Internet Bank of Indiana provides a solution for anyone looking for a competitive mortgage without having to wait forever for the loan to be approved. First time buyers and veterans will benefit from being able to choose from government-backed loans, and anyone with a low down payment will find attractive options. First Internet Bank is also good for borrowers who are seeking good refinancing terms or a HELOC or home equity loan at competitive rates. Thanks to the full banking services along with the competitive mortgage offers, First Internet Bank is also good for anyone who needs a full set of banking options. Along with this, it also presents the wide range of mortgage, home equity, and refinancing possibilities of a traditional bank. Borrowers looking for a new home can apply during the house search and get a pre-approval letter to show prospective sellers. This helps prove the buyers are serious and can be a big advantage in purchasing a new home. Finally, First Internet Bank doesn’t charge for credit scoring until you choose to complete your application following pre-approval. Applying for a mortgage or refinancing loan through the First Internet Bank of Indiana is simple and straightforward. Potential borrowers can complete the entire process online. Register as an account holder with First Internet Bank, which only takes a few minutes online. Ask for a pre-approval letter to show to sellers. Once you find a home to buy you can just ask to lock in your mortgage rates and complete the application. The final stage of the mortgage application requires you to send in documentation. First Internet Bank tries to keep the amount of documentation down as far as possible, so it usually only asks for a recent pay stub or W-2 form to prove your financial information. You can usually close on your loan through First Internet Bank within 40 days. First Internet Bank’s loan requirements aren’t entirely clear on the website. There are mortgages on offer for borrowers with very small down payments – as low as 3% with a VA or FHA loan. First Internet Bank also lets applicants borrow the down payment against different collateral like a car or a savings fund. There’s no minimum credit score listed to apply for a loan through First Internet Bank, but as always, the higher the credit score, the better the loan terms will be. First Internet Bank also doesn’t provide information about loan fees and closing costs. First Internet Bank offers fixed-rate mortgages with terms of 10, 15, 20, 25, and 30 years, although the fixed-rate 30 year mortgage is the most popular loan. ARM variable rate mortgages are available for 5 years and possibly longer. Home equity loans and HELOC options come with terms of 5, 10, 15, 20, or 30 years. APR rates vary, but First Internet Bank is helpful about displaying them prominently on the website. A fixed rate VA loan currently begins at 4.171% APR, with a traditional 30 year fixed rate loan available from 4.061% APR and a 5 year home equity loan from 5.251% APR. There’s a lot of information on the First Internet Bank website, although not all that is needed. The FAQ section is extensive but there are still some gaps. Customer support is provided by phone and web ticket – there’s no live chat, and telephone support is manned from 7am-9pm ET on weekdays and 9am-3pm ET on Saturdays. So, Should you Borrow with First Internet Bank? First Internet Bank of Indiana provides an impressive range of loan options for mortgages, home equity loans, and refinancing products, coupled with fast application, competitive APR rates, and easy access to user information.There’s no charge for credit scoring until you complete the application and that borrowers can keep on top of their payments with the mobile apps. The ability to request pre-approval before purchasing a home, loans with small down payments, and government-backed loans make it very attractive to all types of borrowers.